already signed, posted on care2 yesterday and shared! probably why the link doesn't work!!! We are currently experiencing problems servicing your request. Please send us information that you think might be helpful. Thank you! Ohhh. Just found out the link to the petition. Thanks, Alison and Simone. Signed. Thanks so much for submitting your comment! With global caribou populations declining at an alarming rate, it's great that we can count on people like you to step in and protect these iconic creatures. Forgot, thank you for the post..as what matters most is the cause. This article may be a duplicate, but I missed the original post and had I not seen this one, I may not have signed. tried to sign into my account..tech difficulties..will come back to it...not only Care2 is beseiged!! !..so are others, my friends! I also got the 'technical difficulties' when I first tried. Thanks to Alison A's link, I was able to sign the petition. Signed and noted, thank you (plus an extra thanks for writing the correct link in the comments)! Oh, thanks for clickable link, Alison. Signed. Thanks Simone. Signed; thanks to Alison's link. Noted and signed. Thanks Alison for the clickable link and Simone for posting. Trouble but I may have signed for this on the WCS site the other day. I remember signing for caribou. Really if the BLM is involved who knows what will happen. I have little faith in them. "Technical difficulties", will try later. S&N thanks Simone and Alison for the link. We are currently experiencing problems servicing your request. Soory can't sign just now...will try later! 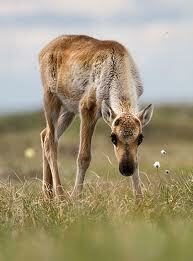 Signed for balance of wildlife protection and energy development!